Bonham Tx Farm and Home Insurance – Start Saving on Farm Insurance Today! 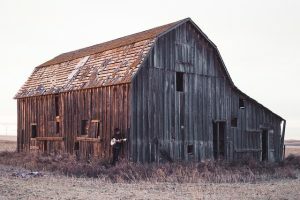 If you’re interested in affordable rates on Farm and Home Insurance in Bonham Texas or the surrounding areas then this is the site you’ve been looking for. To discuss your coverage needs or request a free quote call us up at 903-378-7300 or 888-505-7550 any time Mon to Fri 8:30 AM – 12:00 PM and 1:00 – 5:00 PM CST. In Farm and Home Insurance Bonham Texas Part 3 (click to read), misfortune befell Don and his farm. Both of the barns Don constructed seven years ago burned to the ground one evening while he was out of town. You may recall that Don’s insurance agent, Sam, convinced Don all those years ago to insure his buildings at replacement value rather than at cost. He also counseled Don to update his coverage regularly to reflect market inflation. Ever since, Don has always wondered whether he made the right decision. In the intervening years, the barns had become instrumental to Don’s farm business. He knows he’ll have to replace them, but his old pal Al is no longer in the construction business. Without Al’s help, Don won’t be able to build as inexpensively as he did before. Don submits a claim to his insurance company and hopes for the best. A couple weeks later, he receives notice from the insurance firm that his claim has been accepted. They inform him that he will be reimbursed for the full replacement cost of the two structures. Remember, Don paid about $25,000 to build the two barns. The replacement cost seven years later is estimated by the insurance company to be $42,000… a difference of $17,000! Don no longer wonders if he made the right decision. The barns had appreciated in value considerably over the years. He would never have been able to rebuild today had he insured them for only $25,000. So what can we learn from this? Outbuildings appreciate in value over time and should be insured at replacement cost. Call us today if you have further questions regarding this topic. Bonham Texas Farm and Home Insurance – Lower Rates are Available!